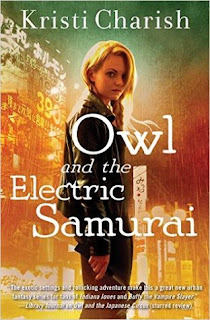 The third exciting novel starring the unforgettable antiquities thief Owl—a modern-day “Indiana Jane” who reluctantly navigates the hidden supernatural world. 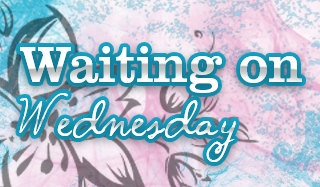 From the pen of rising urban fantasy star Kristi Charish (Owl and the Japanese Circus) and for fans of Kim Harrison, Jim Butcher, Jennifer Estep, Jenn Bennett, and fantasy lovers everywhere. I've really been enjoying this series so this will be a must read for me! Owl is pretty awesome and I can't wait to see what shenanigans she gets into this time. Oh great I want to read this one! Looks like the release date got pushed back to May 8, 2017 :( But YAY for a new Owl book! Ooh nice! Been seeing these books around lately! Might need to look further into them! Hope you enjoy this installment! Hope you enjoy if you read them! I have the first book on my tbr and I really need to get to it. I have a feeling once I get started I'll be waiting with you. :) Great pick! :) Hope you love it! Wow, I'm going to add this series to my TBR! Oh yay!! I think you'd enjoy this series. She's on the go a lot and sees a lot of interesting stuff! :D It's a lovely series! Quite a few blogger friends love this series, and it sounds like so much fun! I picked up the first book a while ago, and I really need to get a move on with reading it! I need to read book one still. So many of yall raved and it looked so good! Oh yay!! You'll love them!